Members of Stones, especially Mick and Keith’s solo album, are getting a lot of attention at the time of release, but are not likely to fall into a situation that will be overlooked after a while? 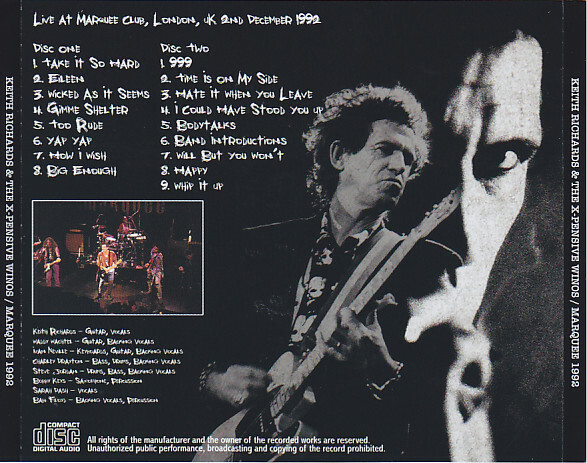 Keith ‘s second solo album “MAIN OFFENDER” is the best example. As for this album, the reputation among fans was not pleasant immediately after release, and it was the opposite result to the first popular opinion (especially in Japan) of the first album “TALK IS CHEAP”. 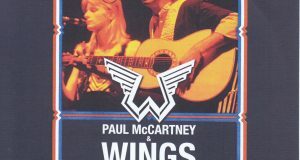 At that time, the attention was gathered to those who did a small-scale world tour, unlike the album’s first album, which only toured in the United States. In such circumstances Japanese performances were also expected, but in the long run it did not come true. It seems like it has also played a part in the popularity descent of “MAIN OFFENDER”. However, the album “MAIN OFFENDER” is by no means a trash. It seems rather than a matter of contents, it seems to be caused by poor timing of release. 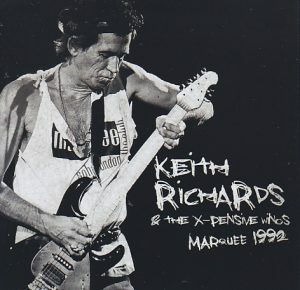 At the time of “TALK IS CHEAP”, Keith finally finished being told that “It can not be put together as an album even after recording a solo, and it was greatly welcomed from the impact of the first album. That point “MAIN OFFENDER” was second-hand, so I had no desire to have a fresh impact. Rather, if we mention the weaknesses of the album, it may be that it lacked the direct Stones Killer Tune such as “Take It So Hard” or “Struggle”. Also, “TALK IS CHEAP” was a variety of songs, while “MAIN OFFENDER” was divided into two types of straight rock and R & B tone number, it was rather the charm of the album But it does not seem like it was never understood. R & B number like “Hate It When You Leave” than single cut “Eileen” etc. seems to be a kimo of this album. Contrary to the popularity of the album that I have touched so far, there are plenty of videos about tours after release. Among them, the TV images of Buenos Aires and Cologne are both classic and can be called from this tour. From 1992 to 1993 it was a time when the rest of Stones was decided, so the situation opposite to the one where the resumption of Stones was decided against contrary made the tour possible. Keith and the Expensive Wynnes who went around the place like November in December have realized their first British tour as they are. Moreover, it was the Marquee club of London that was chosen on the first day. 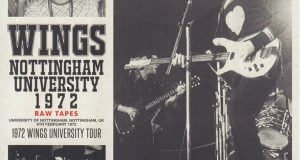 Not only the 1971 television gig, which is now officially released, but also the memories of Stones’ debut · gig in 1962. Keith returned home there. On this day that became practically a secret · gig, in the audience there was a form of Mick who was in the process of producing the album “WONDERING SPRIT” at that time. Also in the magazine of the time Mick’s figure appealing the younger brother Chris to appreciate the gig was put on. Although Mr. Stones was at rest, it was a very epochal event that Mick showed his face to Keith ‘s solo gig. Mick who was asked by Japanese music magazine later said that “the sound was too big” “Although ‘Gimme Shelter’ can not sing in Keith, ‘but the interviewer It was Mick who was bitten bitterly by being thrusted “That made you looking so fun for that part, is not it? It’s a gig like this where Mick comes to see, it would be a miraculous level to have a sound source if so. 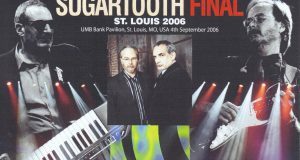 In addition, because the sound quality of the audience recording which captured this gig is very good, it is more so. The first release of this valuable sound source was “YAP YAP” (ICJ 15) CD. However, it was an incomplete version that had cut three songs, such as “Too Rude” to fit on a single disc. Prior to that, as this was released, the popularity of “MAIN OFFENDER” had been falling rapidly, so it seems that few people got it. And the sound source which captured precious gigs has not passed through 10 years with new items appearing. Appears when the haze was forgotten by everyone was the CD-R “IT’S OLDIE ROCK AND ROLL” released by MASTERPORT label in 2003. I finally received a high reputation from professional magazines etc. by saying that it was recording from the master and complete recording board which appeared at last. But it was not even promoted to press CD. More than ten years have elapsed since its release and the title was revived for a while after it was released as a gift release and it became a situation that the voice saying “This is a good, surely press CD” is now being brought to the point, and finally limited Release was decided on press CD! The sound source of this day is anyway good sound quality, and additionally warmy. It conveys the real feeling of Jaco called marquee and the closeness of the sound image without any extra effort. Besides that, the performance of the band below Keith is also wonderful. Whether it was also solved from pressure by having already finished the TV recording stage in Buenos Aires and Cologne was also great. And in Boston in 1993 which is the classic image of the biggest “MAIN OFFENDER” period, the voice of Keith was daunting. In that respect too, Marquee Gig’s Keith is doing great. The wine n ‘s really fit the club gig. Since the classic live video that I have mentioned so far can be seen easily on YouTube now, if a good audience recording is released for a while after a long time in the press CD, it will be a mistake taking mania’s attention all over the world None. Ringing at a loud volume it is already a clown!